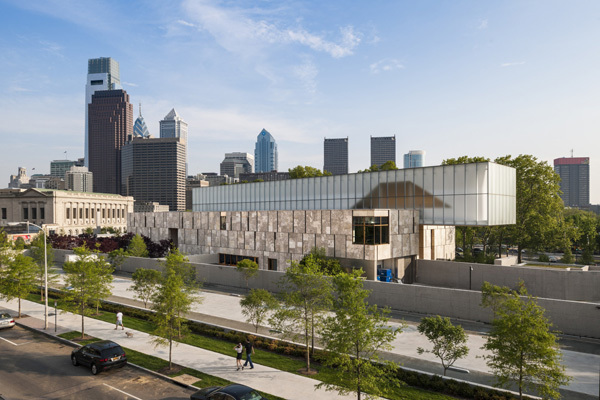 While the Barnes Foundation is best known for its priceless art collection—which now resides in a new $150-million building on the Ben Franklin Parkway—its founding mission extended beyond the man-made wonders hanging on the walls to the natural beauty outside of them. The recent relocation has left most of the Barnes’ horticultural program behind at its previous home in Merion, but the new digs were designed and built using sustainable practices fully in line with that original green vision. 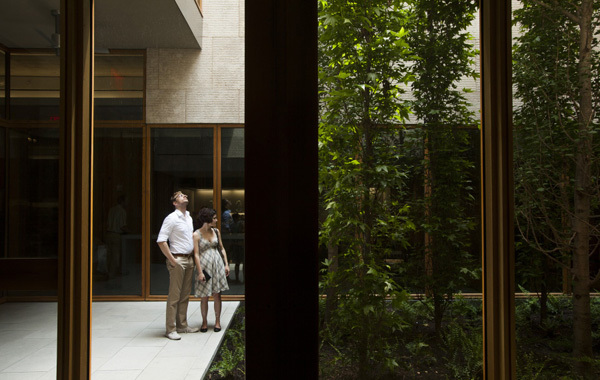 In late August, the Barnes was awaiting confirmation of LEED Platinum certification—the highest rating granted by the U.S. Green Building Council. If granted, the museum would become the third museum in the country to achieve the rating. It was actually at the urging of the Delaware Valley Green Building Council (DVGBC) that the Barnes even sought LEED certification, explains McDowell. Highlights of the Barnes’ sustainable design include a green roof on the L-shaped Pavilion building; a 40,000-gallon cistern that collects rainwater from that roof for landscape irrigation; 12,000 square feet of photovoltaic panels on the roof of the Light Canopy that provide eight percent of the building’s electricity; and a herringbone-patterned ipê wood floor reclaimed from the Coney Island boardwalks. The design specified no- or low-VOC (Volatile Organic Compound) products, Forest Stewardship Council certified woods and recycled products. Ninety-eight percent of potentially reusable materials were reclaimed from the Youth Study Center, the juvenile detention center formerly on the Barnes site (asbestos and other toxins rendered certain elements of the 1950s-era building unusable). The architects also worked closely with OLIN, the project’s landscape architecture and urban design firm, which has offices in Philadelphia and Los Angeles. The Barnes’ garden and terrace were planted with native and adapted plants to minimize maintenance and water needs. The Barnes grounds in Merion were the primary inspiration, says Yue Li, an associate on OLIN’s project team.